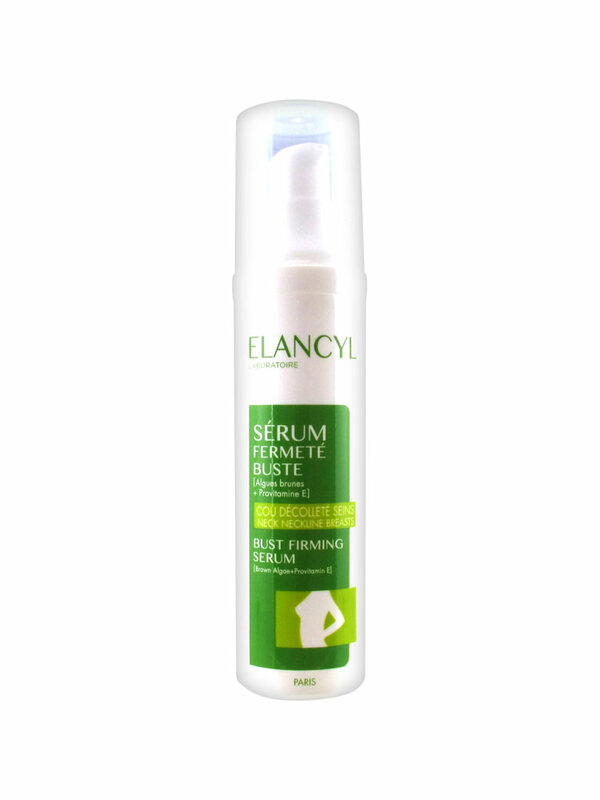 Elancyl Bust-Firming Serum 50ml with sweet almond oil re-sculpts and shapes the breast, the neckline and the neck and has a tensor effect. The skin on your bust (breasts, neckline, neck) provides a natural support but with time becomes fragile, showing signs of ageing and sagging which alters its firmness and its beauty. Thanks to its complex of anti-oxidizing, this bust-firming serum protects your skin every day and leaves the skin smooth. Its light and slightly perfumed texture, enriched with nourishing sweet almond oil is easy to apply. Your bust is immediately firmer and progressively recovers it sculpted, curvaceous form. Youth and beauty is restored. Apply with circular movements on the bust (breasts, neckline, neck). Start using it. I hope it is good. Serum for bust is pleasant. But to achieve the effect you must buy several bottles. Very nice for bust, but don't expect miracles. Soft cream for so delicate skin!